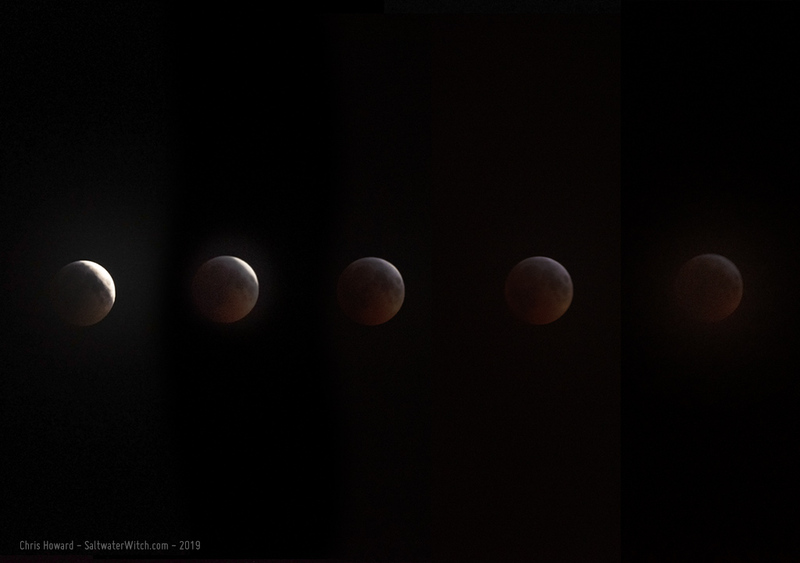 A terrible night for a total lunar eclipse--it's freakin' cold (5°F / -15C) and cloudy, but here's a sequence going into the total. 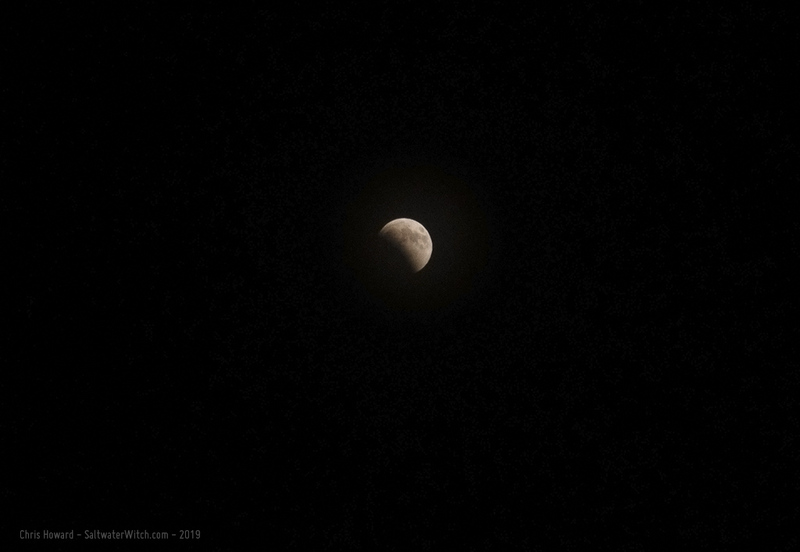 It's very cloudy out there tonight, but I did manage to capture the lunar eclipse in progress. Not a great shot, but was through the cloud layer.